It was the day when everything stopped, and something started that was quite different, that couldn't be controlled or shaped or ended. 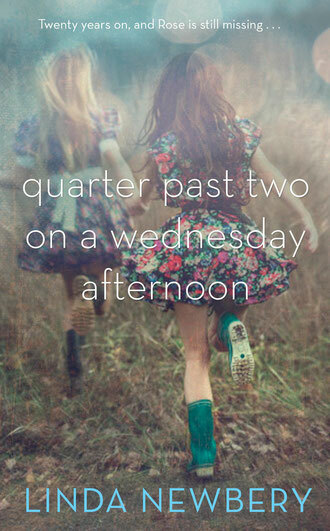 At a quarter past two on a Wednesday afternoon in August, Anna’s headstrong older sister, Rose, disappears. Twenty years later, and Anna still doesn’t know whether Rose is alive or dead. In her early thirties now, she sees her future unfolding – with sensible, serious Martin and a grown-up, steady job – and finds herself wondering if this is really what she wants. Unable to take control of her life while the mystery of her sister’s disappearance remains unsolved, Anna begins to search for the truth: what did happen to Rose that summer afternoon? 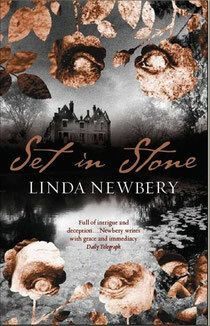 - Published in hardback by Doubleday, and in Black Swan paperback as Missing Rose. Also available as a Kindle edition. A reader-teasing mystery in the tradition of Wilkie Collins and the Victorian Gothic novel, set in 1898. Fourwinds, a country house close to the South Downs, is the pride of its owner, wealthy widower Ernest Farrow. Samuel Godwin, a gullible young artist employed by Farrow as painter and tutor, is irrevocably drawn into the lives of the three young women at Fourwinds: demure Juliana; Charlotte Agnew, governess and companion, who reveals little of her thoughts and aspirations; and Marianne, the younger daughter, passionate, wilful and unpredictable. Intrigued by Marianne to the point of obsession, Samuel little suspects how thoroughly he is being manipulated. "To handle stone is to handle the stuff of life and death, of time and change, the mysteries of the Earth itself..."
"... succeeds so brilliantly not through sensationalism but the virtuosity of the style." Independent. Available in paperback from Black Swan, and also as a Kindle edition.